Increasing the amount of plants that can be grown in your greenhouse will reduce your production costs per plant. This usually means reducing aisles or using tiers or racks to increase plant density. A traditional straight row bench system utilizes 60 to 70% of the floor area for plant production while a peninsular bench layout provides over 75% of the floor area for growing; refer to reference below, page 46. 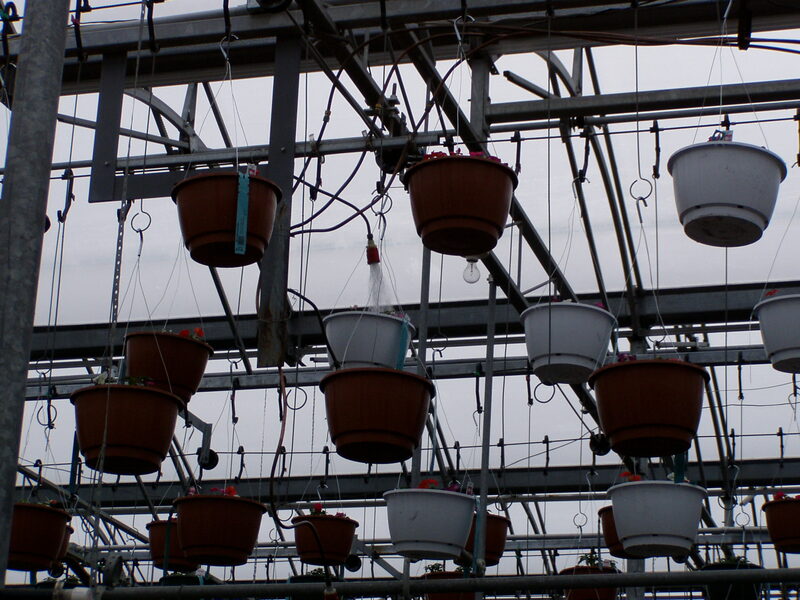 Movable growing systems can increase plant production area to over 90%. There are two types of movable systems: moving benches and transport trays. Both provide high space efficiency and can increase labor efficiency and reduce energy use per plant. 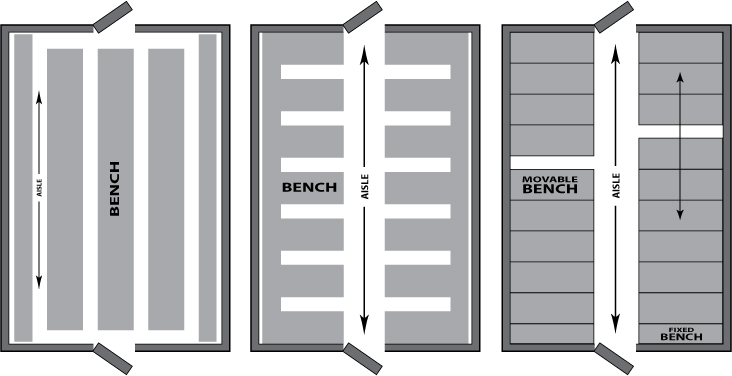 The disadvantage associated with movable benches is the limited space for maneuvering. This can to overcome by using a narrow portable belt conveyor or an overhead trolley to move plants into or out of the growing area. The use of growing racks can double the growing space and create conditions similar to a forest canopy. This is useful when many different plants are being grown that have different light requirements. 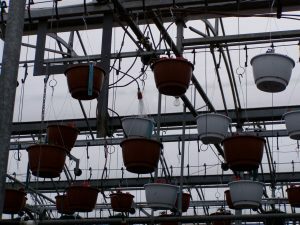 These are cable or pipe system that allow hanging basket to be grown overhead. Pipe systems normally only cover half the greenhouse and can be moved from one end of the greenhouse to the other to allow more light to the plants underneath. Both types also have watering stations so the plants can be watered automatically. References: Energy Conservation for Commercial Greenhouses, Bartok Jr, J.W., NRAES-3, Natural Resource, Agriculture and Engineering Service, Ithaca, NY, 2001.